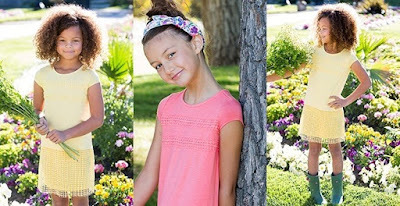 One Momma Saving Money: Girl's Barcelona Dress Blowout - Was $35.00 - Ships for $12.98! Girl's Barcelona Dress Blowout - Was $35.00 - Ships for $12.98! Shipping: $3.99 for the first item and $0.99 for each additional item. US only. Estimated to ship by Wednesday, Aug 2. Your little cutie will be all smiles wearing this super soft, lace embellished dress! Scoop neck and keyhole opening in back with button closure. Available in two darling colors, you’ll want to grab one of each before they’re gone!